Trenails are added using toothpicks. I used tape to define the location for the trenails. Holes were drilled along the line. Here are some shots of the planking / caulking procedure. 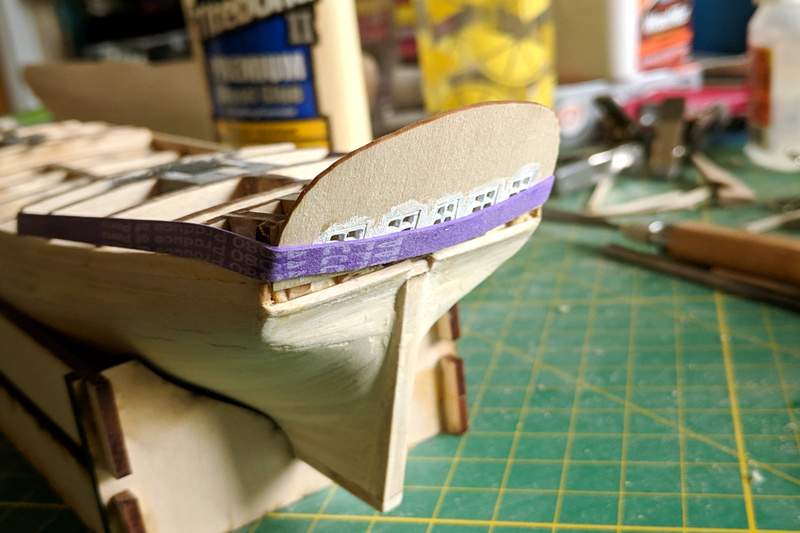 I first cut a length of strip to just larger than the required size, then slowly sand one end a little at a time until it fits perfectly. Then I cut a matching length of the plastic. Glue is applied and the strip is added as shown below, with a tiny space between the old and new strips. 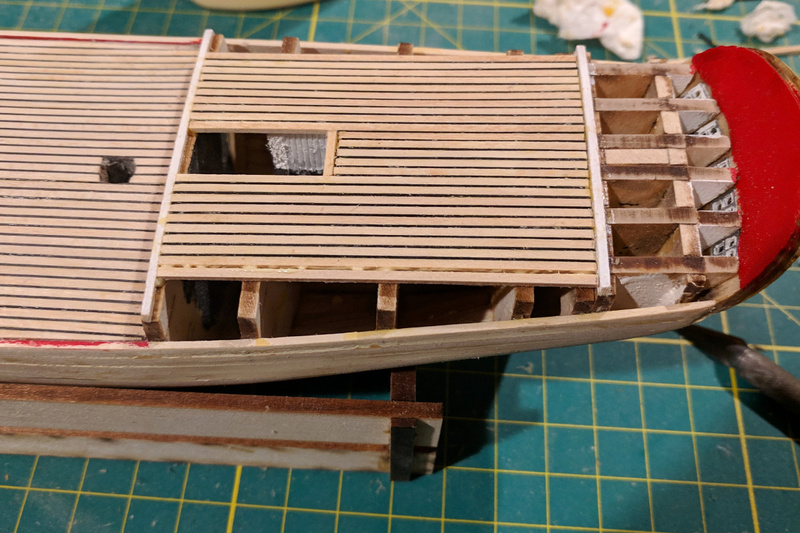 Deck planking continues. 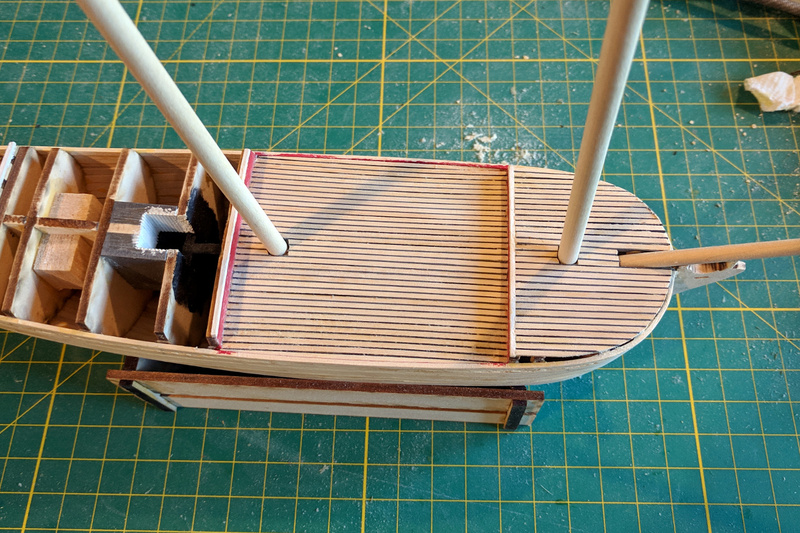 I did a test fit to make sure my mast and bowsprit holes were still accessible. 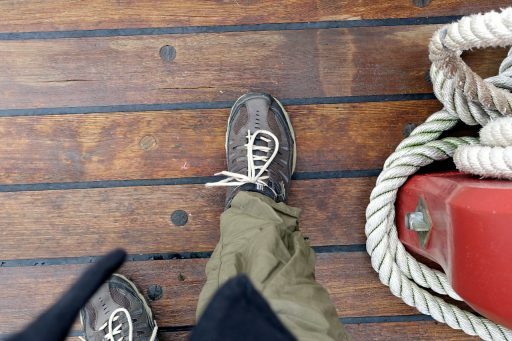 It’s time to think about the deck. Here is my foot, taking a very scientific measurement. The deck planks, caulking included, are a little over two shoe lengths. That’s… um, (multiply by the scaling factor, carry the three), how wide? Better yet, I’ll consult the appendix in the Schooner Sultana book. The appendix says the deck planks are 5 inches wide. 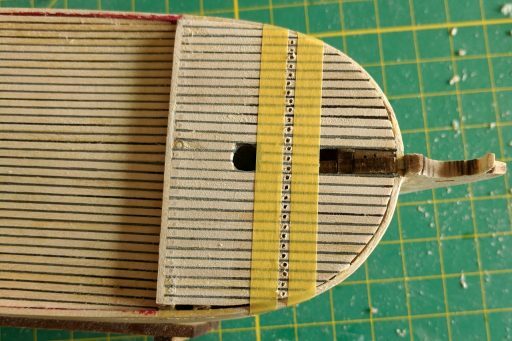 At 1:64 scale, that’s about 2mm. I’ll be using 1/16″ x 1/16″ strip for the deck planks, which is close enough.